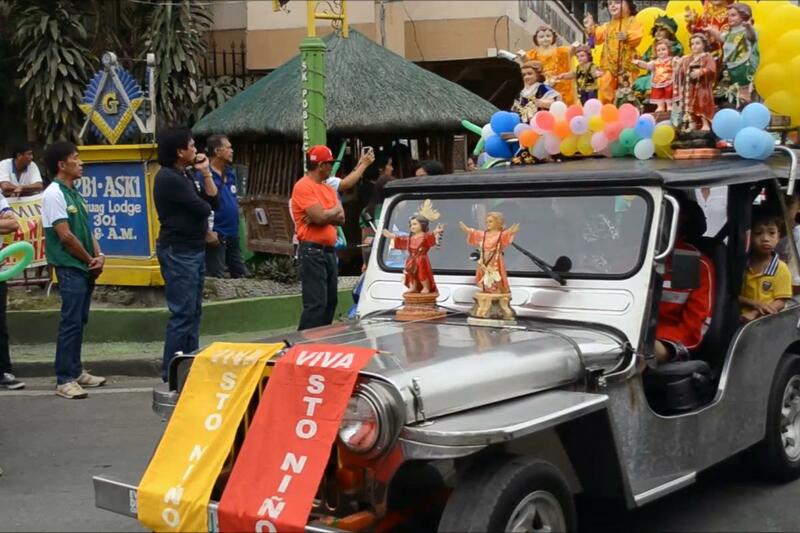 Devotion to the Santo Niño (Holy Child), an image of Jesus as a small boy typically dressed as a king, is a mainstay of Philippine Catholic life. Devotions to him are part of every parish’s life, and in some places a major feast of the year. Some image of Santo Niño is found in almost every Filipino home, because Filipinos believe that the Santo Niño is their protector and has the power to grant and answer their prayers. The oldest and most popular Santo Niño image is the Santo Niño of Cebu. That image is particularly revered by Cebuanos, people from the region in and around the city of Cebu, where the Spaniards set up the first colonial capital. 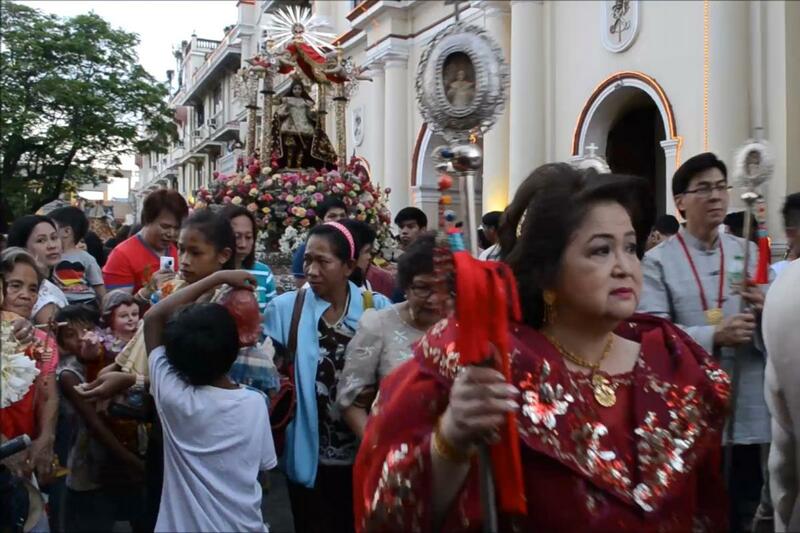 But Santo Niño of Cebu devotion has spread beyond that region, and images of it are a common sight in homes and shops around the country and in the Filipino diaspora. In the 21st century, this level of devotion to an image of a boy Jesus is unique to the Philippines.1 In Cebu, devotion to the Santo Niño reaches a fever pitch early in January, when crowds flock to the basilica that houses it, and the city and its harbor are taken over for days by processions, colorful parades and other celebrations. 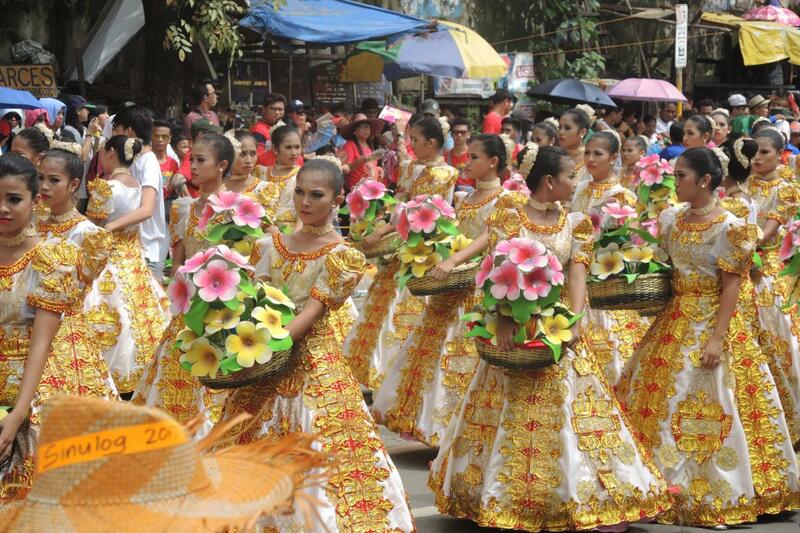 The name of that feast, Sinulog, refers to a ritual dance inspired by and performed before the Santo Niño. In recent years the events have drawn 1.5 to 3 million participants in a city of fewer than 900,000 people, making Cebu’s celebration one of the largest annual events in the Catholic world. Other cities in the Philippines, including Malolos, Bustos, Kalibo, Tacloban, Panay and Bacolod, have their own particular images of the Santo Niño, many dating back to the 16th century. Each of these also has its own feast, as does Manila’s Tondo church, which houses an image known as Santo Niño de Tondo brought to the country in 1572. 1. 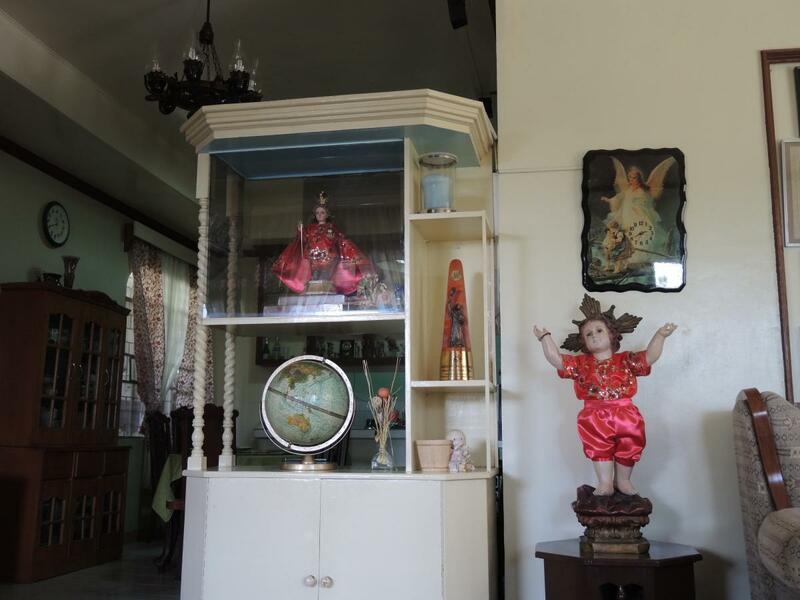 As many readers will recognize, the Santo Niño of Cebu is quite similar to the Infant Jesus of Prague, an image from the same era and perhaps even the same workshop. 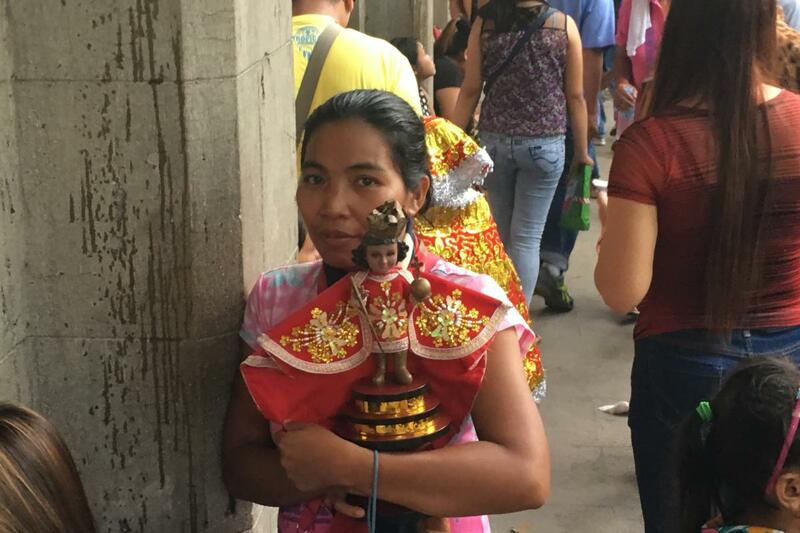 While popular at many times in the past and still an object of devotion in a number of places in the world — even India — its following today doesn’t match the scale of devotion to the Santo Niño in the Philippines. Other Catholic images of a boy Jesus include the Santo Niño de Atocha, though his popularity seems to pale compared to what is found in the Philippines.